Food, wine, mountains, and beaches make up the wonderful landscape of Spain, and when you visit Barcelona, you are in the center of it all. 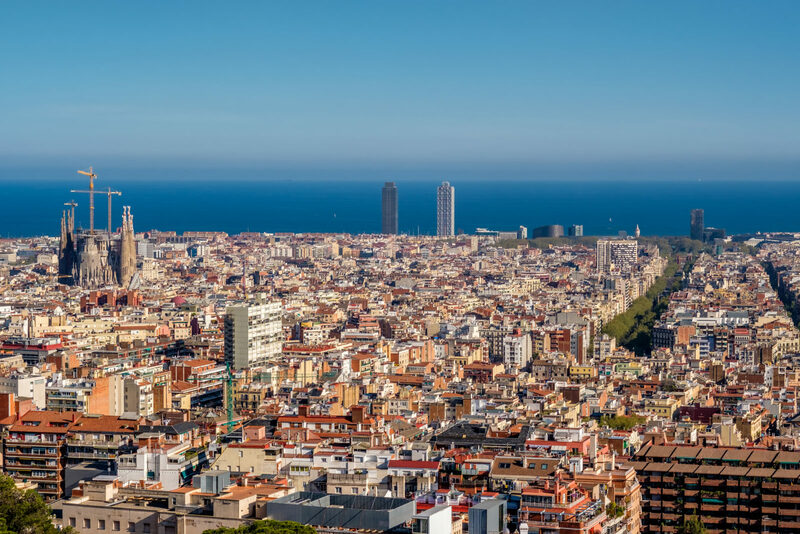 Sophisticated and devoted to the good life, Barcelona invites travelers to experience a different lifestyle that does not cater to anyone but itself. The city’s streets inspire long walks with a tapas café or bodega on every corner, but the nightlife will thrill you. So what can you expect when you visit this Catalonian capital? Humidity reigns supreme during July and August, so unless you like to sweat, it is better to visit in early summer from May to June. Fall is also a beautiful time to visit Spain. Beginning in late September, the nights are balmy. October is the perfect travel month if you want to run around the city with pleasant days and mildly cool nights. You don’t need an Uber ihere. You can simply use public transportation. You can get a T10 pass from any ticket machine or get select one-way tickets for $11. These passes are available for all metros. Barcelona is noted for its clean public transportation network. It is the cheapest and best way to see the city. Timing for shopping and dining is very important in Spain. Restaurants are typically open from 1:30 PM to 4:00 PM for lunch. Restaurants close until 8:30 PM, when they re-open for dinner and close at 11:00 PM. Most stores close for lunchtime siesta, typically between 2:00 PM and 5:00 PM. Sundays and public holidays typically mean that most stores and restaurants will be closed as well. August is a difficult time for travelers as most businesses close for the entire month. There are a few places that command a presence in Barcelona. These are a few of the top experiences to explore. They provide a genuine beauty and historical look into the rich culture of this city. Some of these restaurants have been noted for their cuisine and aesthetic atmosphere for over a decade. If you want to take a bite of local cuisine, just be sure to remember NOT to tip! The thrill of the city is best explored on foot or by bike according to most travelers. With incredible architecture on every street and paths that lead directly to gorgeous botanical gardens, the atmosphere is just perfect for a bike ride in spring and fall months. If you have the chance, take a day to rent a bike or go on a bike tour to immerse yourself in this city’s wonderful culture. ← How Risky is Investing?